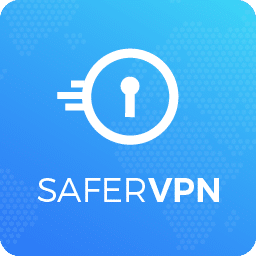 SaferVPN Review 2018 – Is SaferVPN Actually Safe? Mandee Rose | Posted on March 15, 2018 March 15, 2018 | Leave a comment on SaferVPN Review 2018 – Is SaferVPN Actually Safe? SaferVPN’s front office in New York makes the company a traceable and bona fide outfit, but it also makes them susceptible to pressure from the NSA. However, the company is actually headquartered in Israel. The service’s no logs policy should prevent the authorities from squeezing records of your activities out of them, and you can enhance your anonymity by paying with bitcoin. The company operates all of its own servers, in 29 countries spread around the globe. The total tally of the number of servers the company owns exceeds 400, which creates plenty of capacity for its client base. SaferVPN’s website seems to offer just one plan, but with three subscription period options. Further into the FAQs page, however, the company mentions a Basic, Premium, and Small Business plan. The support page on that topic mentions that the Basic plan allows two simultaneous connections, the Premium package offers five and the Small Business plan allows up to ten. However, there is no mention of simultaneous connections anywhere else on the website. I used live chat to investigate this issue. It turns out that the website only promotes the basic plan, but if you want more, the support operator will give you links to the other packages. Given the way the company structures its website, it is better only to consider the basic plan to start with. The company has a promotional rate, which probably goes on all year under a range of guises. When I accessed the price list for this review, the big discounts were offered under the headline of Winter Sale. You don’t have to search out a promotional code because the discounts are applied by default on the main pricing page. Another way to get the premium plan is to sign up for the basic package and then upgrade. There is an ‘Upgrade Now’ button on the members’ page that allows you to do this. The application that controls the VPN on your device has versions written for Windows, Macs, iOS, and Android. There is also a version that runs directly on routers, and there is a Chrome extension. Linux users will have to go elsewhere for a VPN service, because SaferVPN doesn’t have a version for that operating system. Even when it is in sleep mode, your laptop will pole for nearby WiFi signals and connect whenever it can. This security flaw means that someone can set up an unsecure WiFi hotspot and sneak malware onto the computers of passersby. This feature turns on the VPN whenever you connect to a WiFi network. As with any purchase, it is important to read the service agreement. SaferVPN is one of the cheapest services around, and you might think that they make up their income by sneaking on hidden extras. They don’t. You won’t get stung by any usage meters. The headline on the website states that the company has more than 400 servers in over 30 locations. That doesn’t mean 30 “countries” because they list East Coast and West Coast USA as two separate locations. The settings options in the application are fairly limited. This is good news for those who really can’t be bothered to tinker about beneath the hood in order to get the service to work. However, it does mean that those who want to tailor their VPN have less to work with. The headline security feature offered by the service is the automatic WiFi protection, as mentioned above. There are two other security features, which can be adjusted by the user. These are specific VPN protocols and a kill switch. Virtual private networks encrypt all of the data packets that pass between two ends of a connection over the internet. Encrypting the header of the packet as well as the payload renders the data packet un-transmittable – the routers that the packet needs to pass through can’t read the destination information. Therefore, that encrypted packet is embedded in the payload of an outer packet. There are several protocols that achieve this aim. A protocol is a set of rules that are commonly known, so different teams can develop software that can communicate with others in the world without having to work together on the development. The protocol choices offered by SaferVPN are OpenVPN, Internet Key Exchange Version 2 (IKEv2), Layer 2 Tunnel Protocol (L2TP), and the Point-to-Point Tunneling Protocol (PPTP). Of these, the two most frequently used are OpenVPN and PPTP. The security features of PPTP are not as strong as those of OpenVPN, and SaferVPN recommends the use of this protocol. Those who play online games often prefer the faster and more lightweight PPTP. You may not need a VPN for everything you do on the internet. However, for those who need constant security, the kill switch option of SaferVPN is a must-have feature. This blocks your computer from connecting to the internet without the VPN running. Thus, you are guaranteed top-level privacy at all times. As stated in the introduction of this review, this company is based in Israel, while its front office has an address in New York. Whether these locations make the company susceptible to pressure from the Israel’s secret service is up for debate. However, the website states that the company keeps no activity logs, and Mossad can’t force them to hand over records that they haven’t got. The main page of the site offers you a free trial. All you have to do is click on the Start Free button to get to this offer. This takes you to the trial offer page. You will have 24 hours to try out the service. You’ll have to enter your email address and think up a password to proceed. A word of warning: after filling in these fields and pressing on the button, the service sends out an email with account details – mine went to my spam folder. You need to click on a button in the activation email to get your free trial account set up. The website detects your operating system. I accessed the site with Google Chrome on Windows 10. The download page offered me the option of downloading the app for Windows or a Chrome extension. After clicking on the download button, the file transfer starts automatically. Afterwards, click on the downloaded file to get the installation wizard to run. Inexplicably, before the free trial ran out, the app reported that I no longer had any free time left. The helpdesk advised me to re-download the application and reinstall to fix the problem. Take the 24-hour free trial before you plump for the paid service. This will give you the opportunity to decide whether the service meets your needs, and eliminates the faff of asking for your money back if you don’t like it. If you want to jump straight in and pay for the service, you just have to click on the Pricing option on the menu bar at the top of the screen. Click on the Select Plan button beside the subscription period that you want to pay for in order to get to the payment section. If you went through the free trial, then you already have an account, so you should log in first. Otherwise, enter your email address and select a payment method. Delivery occurs via email notification, the same as the process explained in the Free Trial section above. The application doesn’t open automatically after installation, so look for its icon on your desktop to open it. The initial screen is a login form that asks for your email address (which doubles as your username) and password. Check the Remember Me box and you won’t see this screen again – the next time you open the application you’ll be taken straight to the main screen. The interface is incredibly easy to use. Below is the desktop version. On mobile devices the left hand server list fills the whole screen and there is a go-to arrow to the side. That slides the world map layout over the list to give you access to the Connect button. Clicking Connect turns the VPN on. While the service is running, the Connect button becomes a red Disconnect button. One flaw is that you don’t get to choose a server location, which implies that the company has all of its servers at one site in each country. The settings options can be accessed by clicking on the hamburger menu at the top right of the app. You can reach different sections of the settings page by clicking on the items in the left-hand menu, or just scroll down. The two main options in the settings are to turn on the kill switch, or to select your preferred protocol. “Automatic” is the default option. Customer support is available through the company website or by email. You will see a blue speech bubble at the bottom right corner of the screen – clicking on that speech bubble brings up a chat dialog box. I accessed the live chat both during the daytime and late at night in the US Eastern Standard Timezone and got an instant response during both periods. Another support contact option is provided within the app. Clicking on Support in the settings menu gets you to a button that will enable you to open a helpdesk ticket. That button opens the customer support page of the company’s website. Rather than controlling all the connections made on a device, you can apply SaferVPN just to your Chrome browser (there aren’t any versions for other browser types). The browser version of the VPN software is available from the client area and installs with a click on the download page, a click on the downloaded file and another click on the permission pop-up. This puts an icon at the top of your Chrome browser, alongside the address bar. Accessing the facility with a click gets you a run-through of the VPN’s features the first time you enter. Once you log in, you don’t have to enter your credentials again – subsequent visits to the drop-down get you straight to the interface. Browse through the server list and make a selection. The service will connect automatically – you don’t have to swipe the Connect slider. After your free trial expires, you can still continue to use the Chrome add-on. You get 500 MB of data transfers a month until you subscribe. You can get extra free throughput by doing the company a favor, such as referring a friend, liking them on Facebook, or following them on Twitter. With the SaferVPN location of East Coast USA activated, I retried the connection to Miami. Both download and upload speeds were a little slower, but the performance was still good enough for video streaming and online gaming. Worse still, the connection dropped twice before I was able to perform the test. I disconnected the Chrome add-on and returned to the app, connecting to the East Coast USA server. I tried the connection test to London again. It didn’t turn out well. Switching to a SaferVPN server in the UK improved performance, but it still didn’t get up to the kind of speeds you would get from connecting to a server on the same continent. However, these results are typical of performance across the Atlantic with a VPN applied – VPNArea and Buffered have similar results. Should I Subscribe to SaferVPN? Make sure you install the Chrome extension, because you can still keep using it after the free trial expires, and you don’t have to pay a penny for it.